The Canada-based company, a supplier of seawater-lubricated propeller shaft bearings, will deliver the Environmentally Acceptable Lubricant (EAL)-compliant COMPAC propeller shaft bearing system for shaft diameters of 267mm. The twin-screw, 280ft long Alaska-class ferries will each have capacity to carry 300 passengers and 53 standard vehicles and feature fully enclosed vehicle decks with bow and stern doors for quicker loading/unloading. Thordon Bearings will deliver the COMPAC system for the first vessel in the series later this year with the second following in early 2016. Both vessels are due to be delivered to Alaska Marine Highway System, part of the Alaska Department of Transportation and Public Facilities, in 2018 for subsequent operation as day boats along the Lynn Canal route between Juneau, Haines and Skagway. 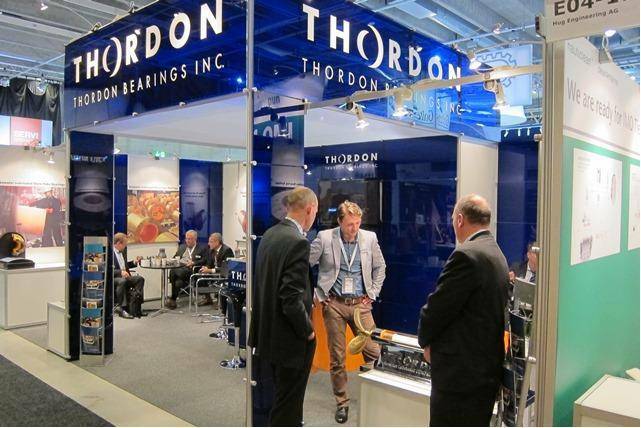 Thordon has a strong history with Alaska Marine Highway System with its seawater lubricated bearings installed on the Matinooska, Tuskamina and Kennicott ferries.